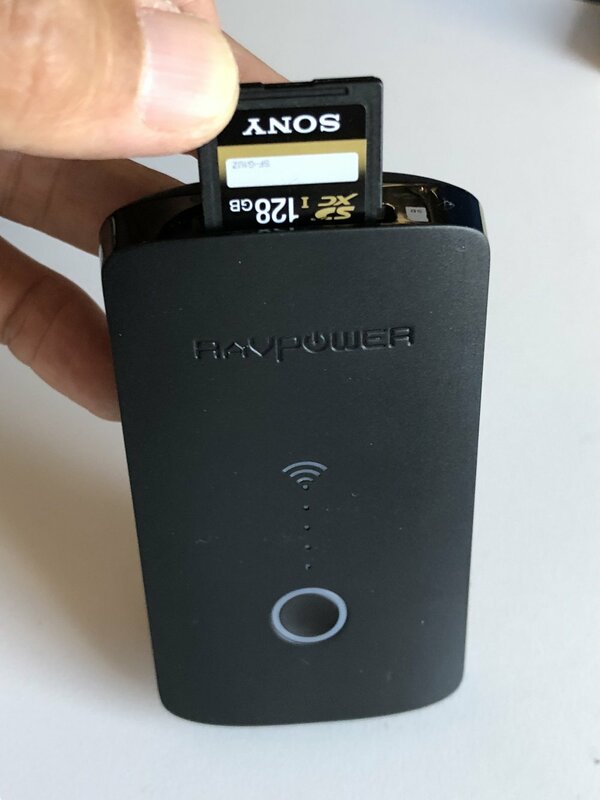 For portable setups and demos involving only a few Go units, the $45 RAVPower FileHub Plus has been an amazing solution. It's a combo wireless travel router, SD card reader, DLNA media server (from SD card), and USB battery. The FileHub can also extend wireless networks, and I have mine configured to connect to my iPhone's personal hotspot, which means that a few Go units can simultaneously stream media from the FileHub and access the internet through my phone's LTE connection. 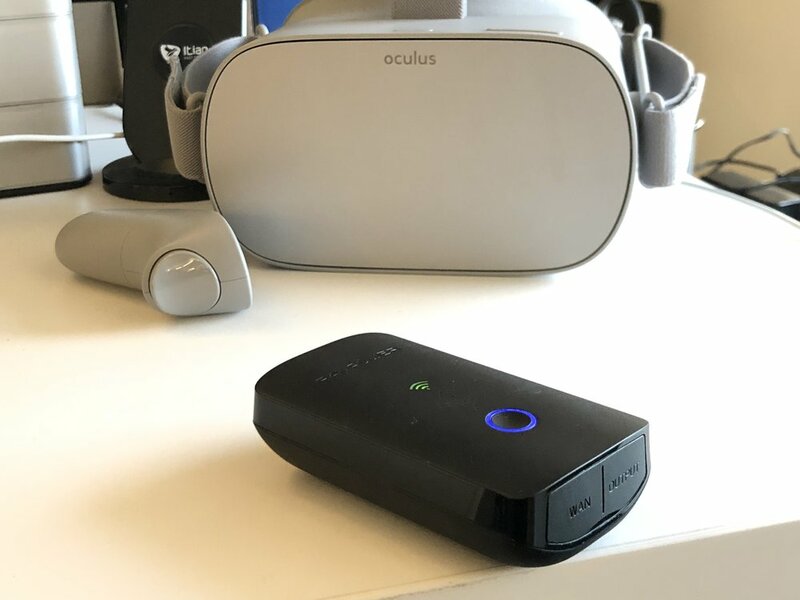 For public demos that require the simultaneous support of many Go headsets, a NAS and high-bandwidth Wi-Fi router is likely a good solution. Optionally (and recommended), Internet access can be added through an Ethernet connection. Oculus Go units can be preset beforehand to connect to the Wi-Fi network, and such demos should run fine without the paired mobile device present (the device(s) running the Oculus companion app). The $250 Netgear Nighthawk X8 AC5000 is a powerful wireless router that supports link-aggregation (802.3ad) out of the box (2 ports). This will allow the router to communicate with the NAS box using two gigabit Ethernet connections at once, and while no single connection can exceed ~112MB/s, it can easily support two full-speed connections simultaneously. The $400 Synology DS718+ NAS is a 2-bay media server, which is desirable because the drives can be mirrored, which will protect against the loss of a single drive during demos. Using two 500GB SSDs configured as a mirror should still easily saturate read bandwidth from a 2-port, bonded connection.